So you’re planning to buy the OnePlus 6? No doubt it is an excellent performer for the price. But one thing that might be a cause of worry for many contemplating buyers is the newly adopted glass design. That is obviously going to concern the clumsy ones out there and in case that makes you question the repairability of the OnePlus 6, iFixit might have some answers. 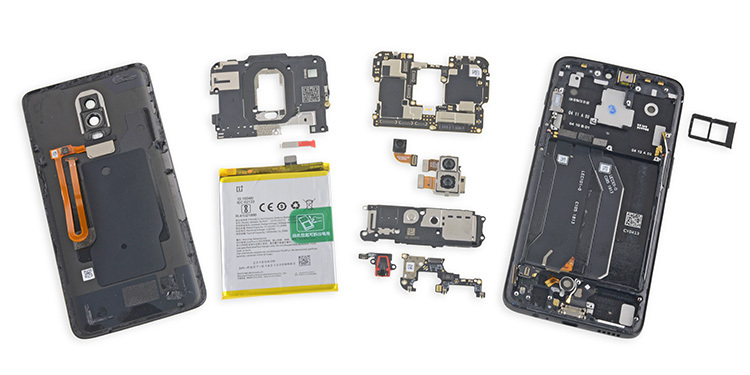 In a recently performed teardown of the OnePlus 6, iFixit lays out a clear picture of the ease of repairing a broken unit. While getting inside is easy, replacing a broken screen could be challenging. To begin with, the glass back – which is prone to breaking – on the device is fairly easy to remove and replace, and the applied glue uses some heat to eject from its seating without many tussles. The battery, too, can be easily popped out and replaced easily. 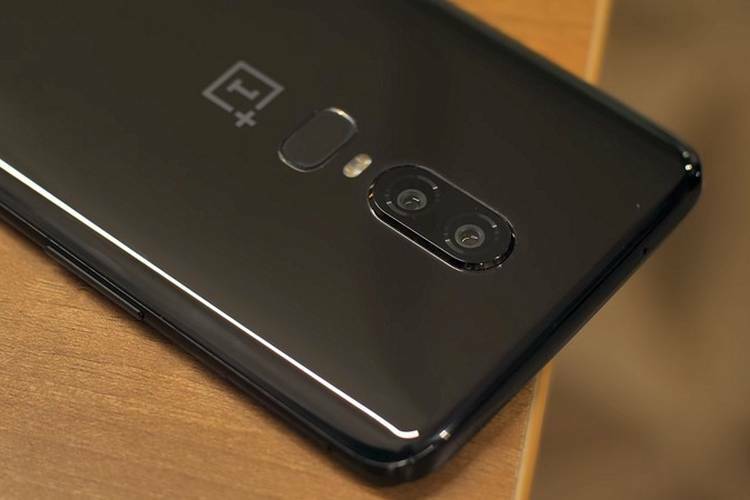 The OnePlus 6 has a plastic midframe with silicone used for preventing water from seeping into the motherboard. This has to do with the waterproofing of the device which the company claims to be “water resistant for daily use“. This means that you can use it rain and that mild splashes will not make you rush it to the service center, but dunking the OnePlus 6 is bucket is not something you would be able to walk past without expecting any damage to the phone. The phone is clearly not IP67 or IP68 rated and the said silicone padding has been around since the OnePlus 5, OnePlus 6 might actually be able to stand some water distress (not necessarily embrace it). But we still don’t recommend you to take it swimming with you. One of the toughest parts of the repairing process is taking off the display which is strongly glued in its position. Unless you’re repairing a broken display, there is no reason to even touch it – else you will have to repair a broken display. The display, iFixit notes, “won’t come out undamaged” and the process is not “repair-friendly“. Overall, the OnePlus 6 has earned a repairability score of 5 out of 10. The low score is primarily because of the difficulties that you might face in replacing the display. The use of standard Philips screws makes it easier to unscrew component where there is no glue. Compared to other flagships that it challenges, iFixit highlights that the OnePlus is relatively easier to repair than the Samsung Galaxy S9 and S9+ as well as the Huawei P20 Pro. All of these smartphones also have glass backs while their screens are held firmly under multiple layers of adhesive and component assembly. On the other hand, iPhone X and Pixel 2 XL are easier to repair – mostly because the displays can be removed easily without having to unravel the entire assembly. But in case of the iPhone X, which comes with a glass back too, replacing the easy-to-shatter rear can be very challenging, especially due to waterproofing. So, while you can be carefree with the glass back, we would recommend you use screen protectors on the OnePlus 6 to prevent some of the damage in case the device falls down. It would be wise to invest in a back cover or case to prevent the glass back from cracking after accidental falls too but we leave the decision up to you.